Blue watches have always been a popular choice in the fine timepiece space. 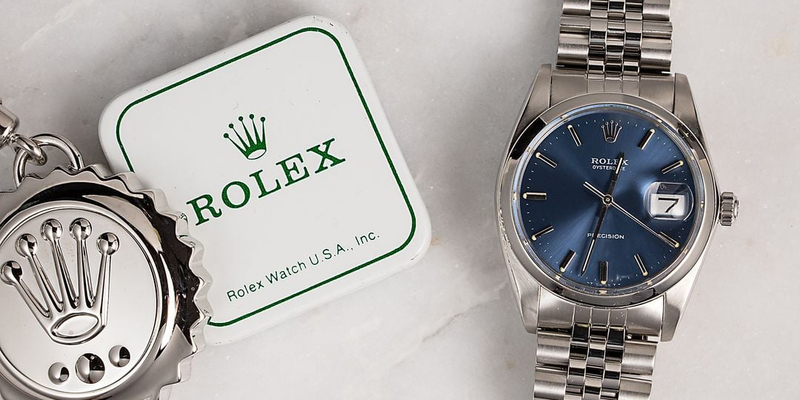 More vibrant than black or gray but still considered a neutral shade, blue watches offer a great combination of appealing color and classic design style. With that, let’s explore some blue watches at different price points. Here is a collection of blue Rolex watches. For less than $3000, we love this vintage Rolex Oysterdate ref. 6694 as a blue watch option. The 34mm Oyster case houses a rich blue dial, which contrasts beautifully with the watch’s stainless steel build. While the dial is kept nice and simple with minimal stick indexes accented by small lume plots, there is a (as the model’s name suggests) date window at 3 o’clock. The case, dial, and smooth bezel, coupled with the classic Jubilee bracelet come together for an attractive everyday Rolex dress watch. The Oysterdate is unique in the Rolex lineup as it’s powered by a manual-wound movement rather than the more ubiquitous perpetual movement. A great touch for those who enjoy some old school watchmaking traditions. Tudor also makes blue watches. With a slightly bigger budget, but one that is still well under $5000, we turn to Rolex’s sister (brother?) brand for a sportier alternative. The Tudor Pelagos ref. 25600TB wears its blue shade proudly from its bright ceramic bezel to its striking blue dial. The white markings on the diver’s bezel and the luminescent snowflake hands and bold hour markers pop against the blue background. There’s even a discreet date window at 3 o’clock for added practicality. The Tudor Pelagos diving watch comes with a robust 42mm titanium and steel case along with an ultra-light titanium bracelet—cleverly outfitted with an extension system to ensure the watch will fit over a wetsuit if need be. And if you want even more blue on your wrist, this particular model comes with an additional blue rubber strap. The best part? 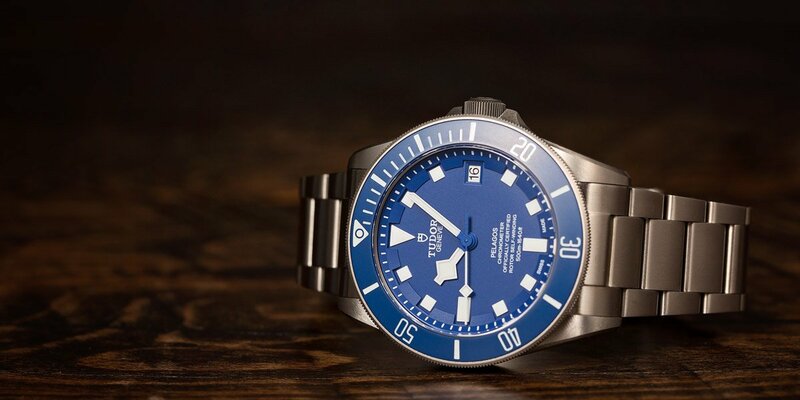 The Tudor Pelagos ref. 25600TB runs on the new in-house Caliber MT5612 automatic movement with 70 hours of power reserve. This Milgauss ref. 116400 is a blue dialed watch. If you have somewhere between $7000 and $8,000 to spend and a penchant for unique design, then it’s got to be the Rolex Milgauss ref. 116400GV with the Z-Blue dial. This watch has so much going for it, it’s hard to keep track. But first, let’s start with that Z-Blue dial, which is one of the coolest blue shades you’ll ever find on a luxury watch. More turquoise than navy, this colorful background sets the stage for the just-as-colorful orange lightning bolt seconds hand. Finally, just because “too much” is not part of the contemporary Milgauss Z-Blue vocab, protecting the dial is a green sapphire crystal, which just takes the style of this blue Rolex watch to another level. Remember, the Milgauss was first conceived in the 1950s as an antimagnetic watch for scientists to wear and today’s iteration still boasts resistance to 1000 gauss of magnetism. 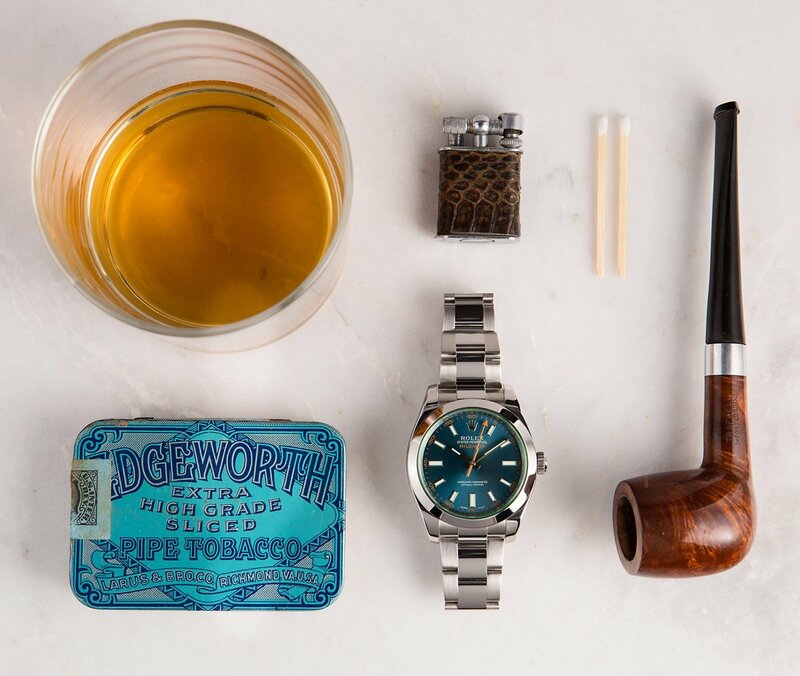 The blue submariner 16613 is a blue watch perfect for any occasion. 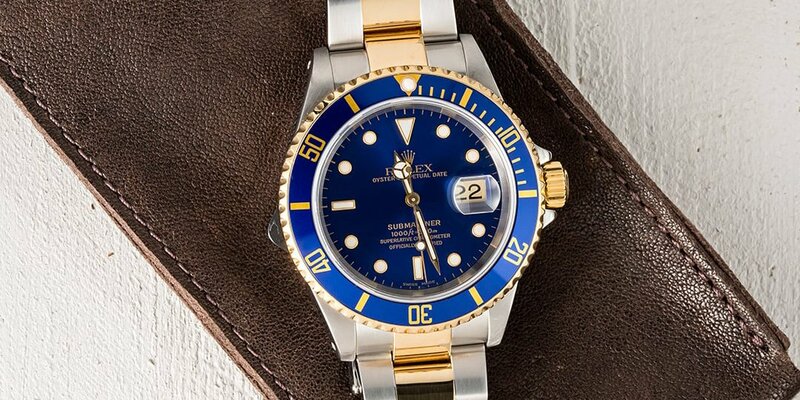 A bold budget deserves a bold watch, so dive into the two-tone Rolex Submariner ref. 16613. The two-tone yellow gold and stainless steel construction is a Rolex classic, while few can deny the attractiveness of the iconic Submariner diver’s watch design. Couple that with the rich roya blue dial and matching blue bezel option, and you’ve got a winning blue luxury watch! The Submariner ref. 16613 was the last non-ceramic bezel two-tone Sub option since all current Submariner models now sport Cerachrom bezels. With its traditional aluminum bezel, slimmer lugs, and less bulky case, many cherish the now discontinued ref. 16613 for its archetypal Submariner style. Regardless of your price point, there’s a blue watch out there for you. Whether you prefer sporty or classic, vintage or new, automatic or manual, there’s a wide choice of blue watches for every budget.